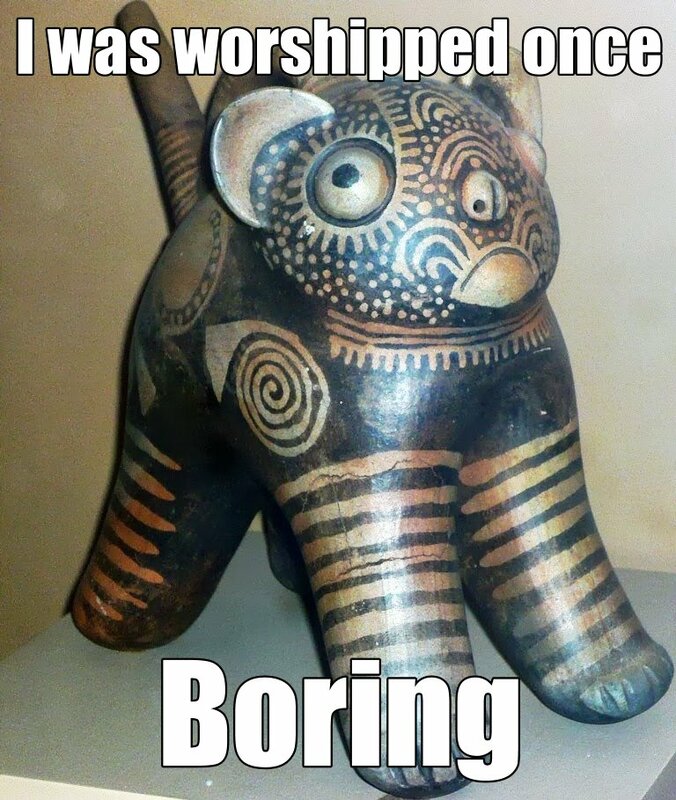 Yesterday, guest blogger Madeleine Johnson had a story here about a piece of ancient Peruvian pottery — in the shape of a very grumpy little cat. If you haven't read her story, you really should. 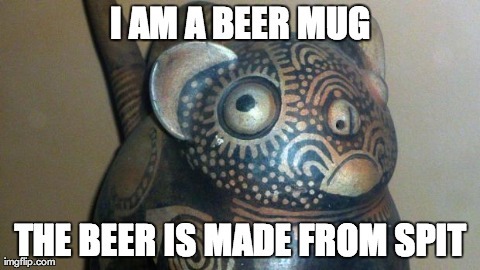 It's all about the great cat memes of ancient history and how archaeologists can use clues from an artwork to track down who made it, where, and when. Chicha refers to a wide range of different beverages, but some of them were (and are) made using human saliva as a way to kick off the fermentation process. The good news: If you want to try to make your own chicha, the spit is optional.